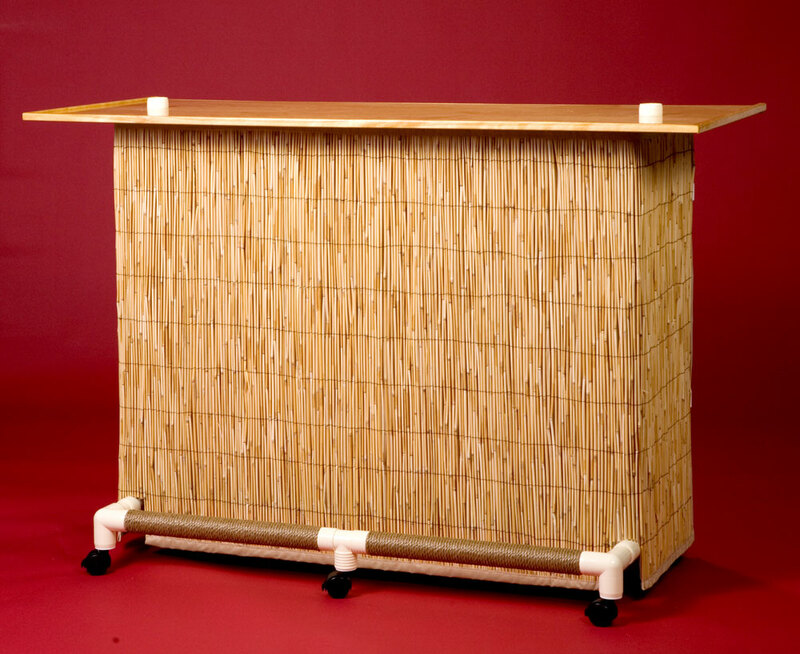 Our portable Tiki Bars are made in the USA with high quality materials including furniture grade PVC, cabinet grade wood shelf, woven palapa palm roof, a roomy storage shelf and a natural reed skirt. 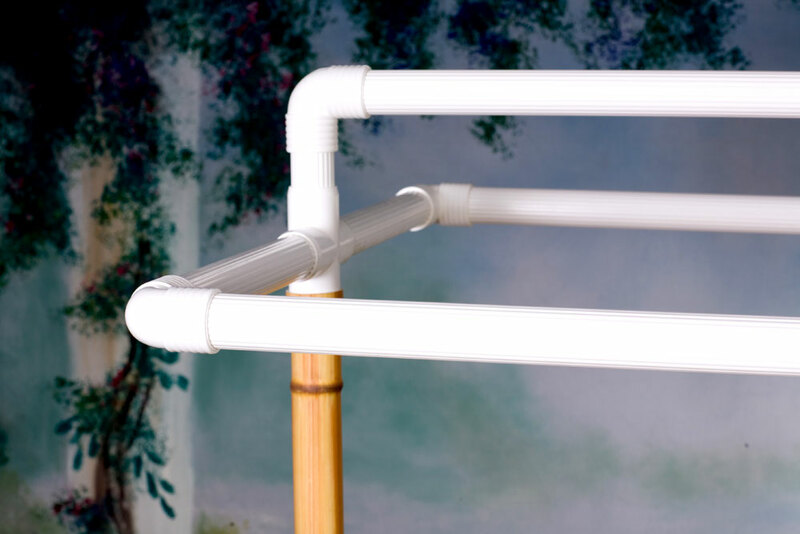 The structural portion of the bar is made from white furniture grade PVC pipe and special fittings that resemble bamboo nodules. 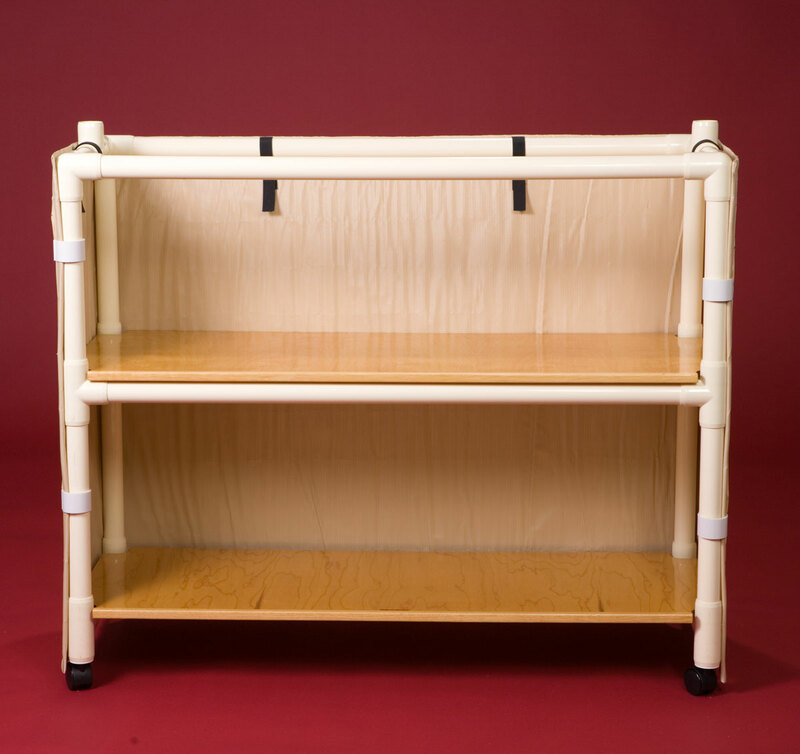 Eight pre-assembled sections slip together and interlock to create our unique design bar frame that is easy to assemble and disassemble. 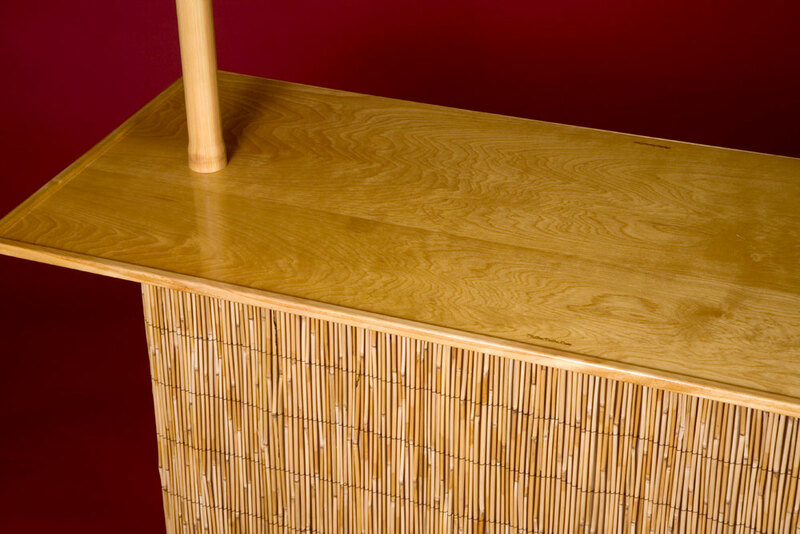 The bar top measures 60″ x 24″ and is made from 1/2″ cabinet grade birch laminated plywood. 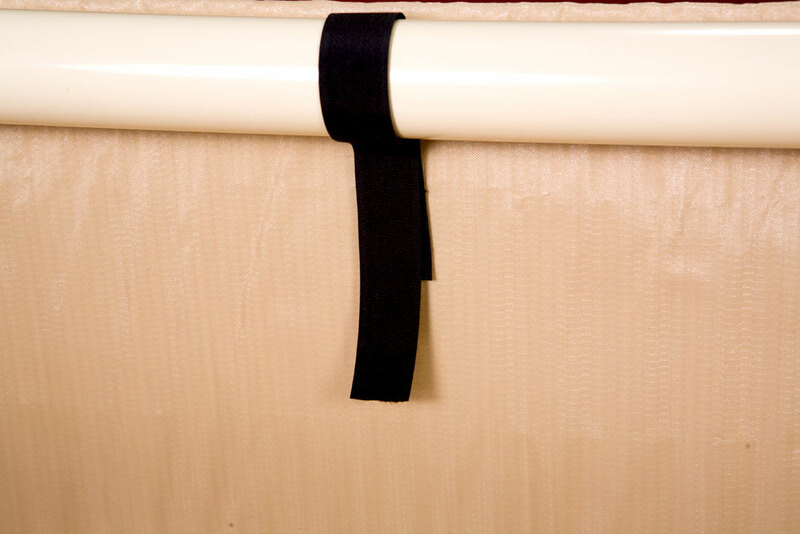 Edges are expertly trimmed with corner molding. The entire bar top is finished with multiple coats of exterior grade polyurethane. 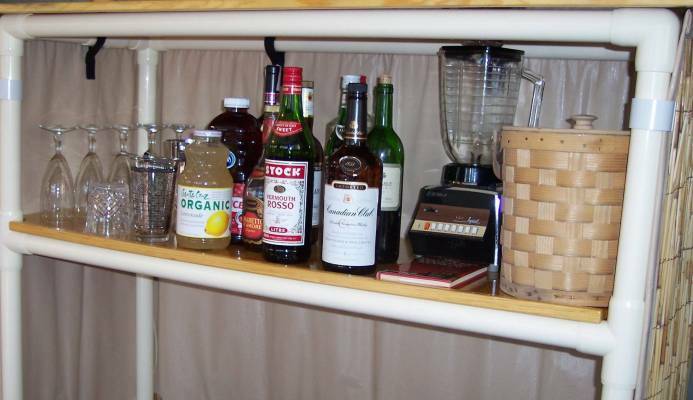 The storage shelf measures 48″ x 18″ and 14″ of height to provide plenty of storage space whether for sales literature, cash drawer or favorite cocktails, mixers, ice bucket and other Tiki Bar essentials. 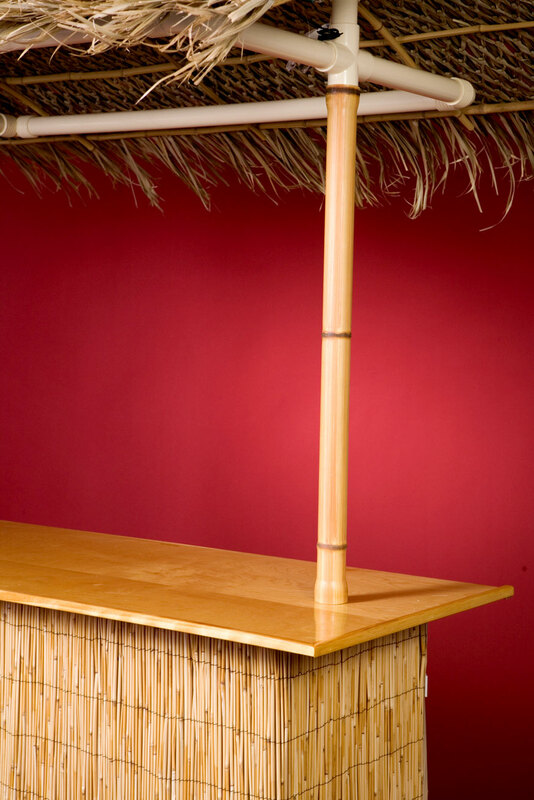 The skirt has natural reed sewn to a pliable and waterproof vinyl backing material to create a durable product well suited for transporting the Tiki Bar and subjecting it to constant set up and disassembly. 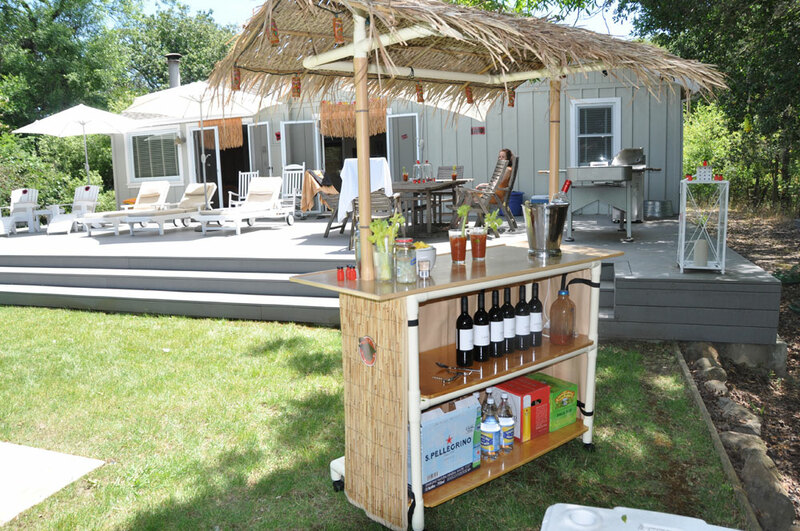 It nicely trims the reed edges and completely eliminates the view of products and supplies stored behind the Tiki Bar. The skirt attaches easily and quickly with velcro straps. 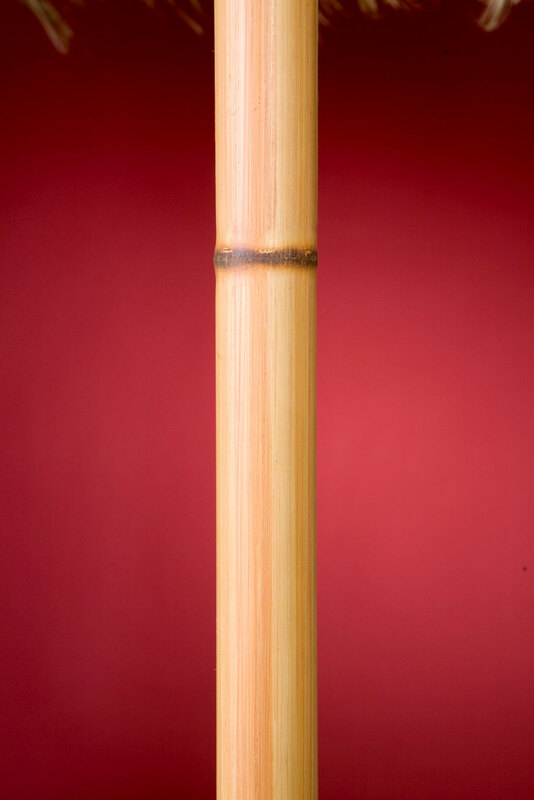 The roof uprights are covered with a unique PVC bamboo having the look and feel of real bamboo adding to the overall aesthetics of the bar. 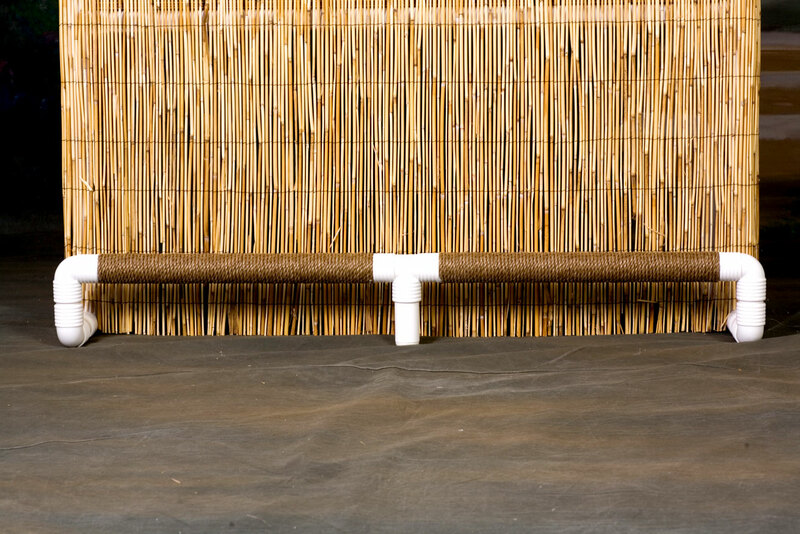 The footrest is an integral part of the interlocking Tiki Bar frame and is wrapped with “unmanila” rope. 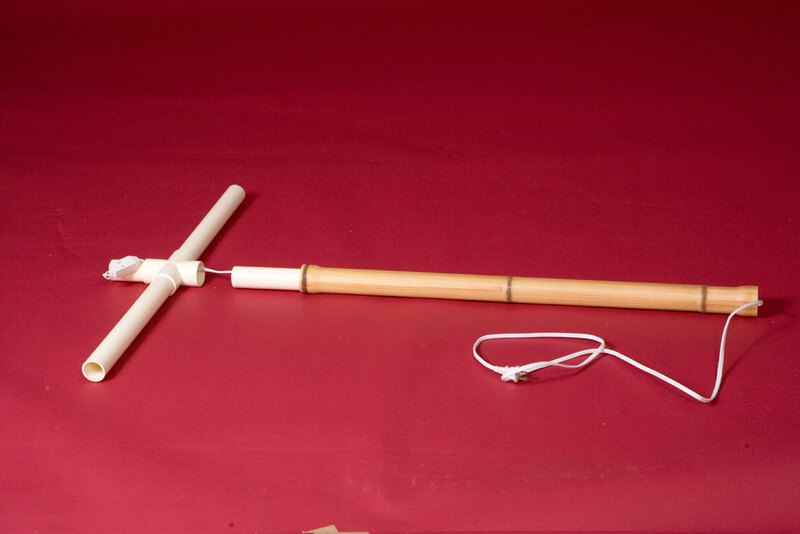 The unmanila rope is a man-made product that looks just like natural manila rope, but will not discolor or mildew. A power cord is pre-installed into the roof uprights for any of our lighting options or ready for you to add your own theme lighting. This is also useful to provide power for electrical devices without messy electrical cords hanging over the bar top. 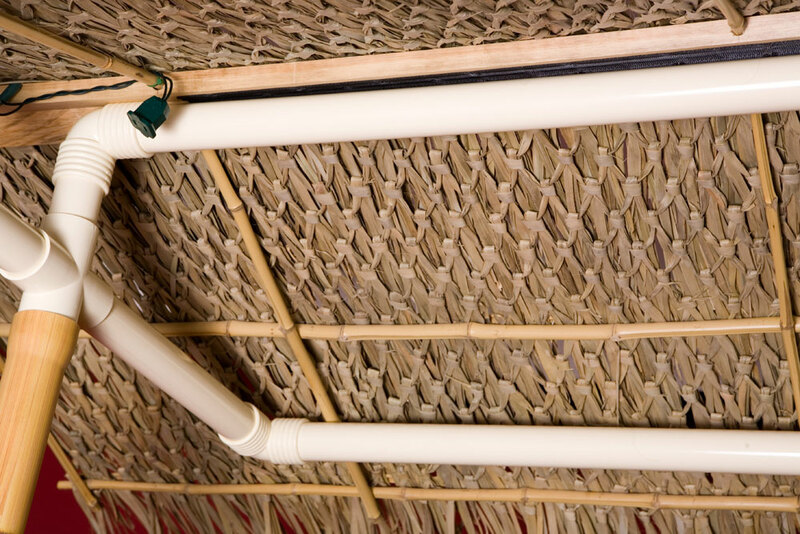 The entire roof structure is made from reinforced bamboo attached to solid wood hinged at the peak. 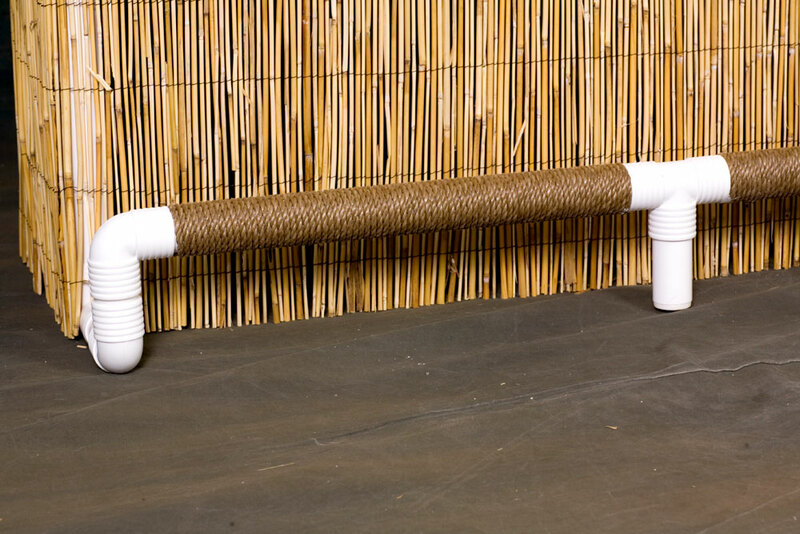 It easily slips over and rests on the upper PVC frame. 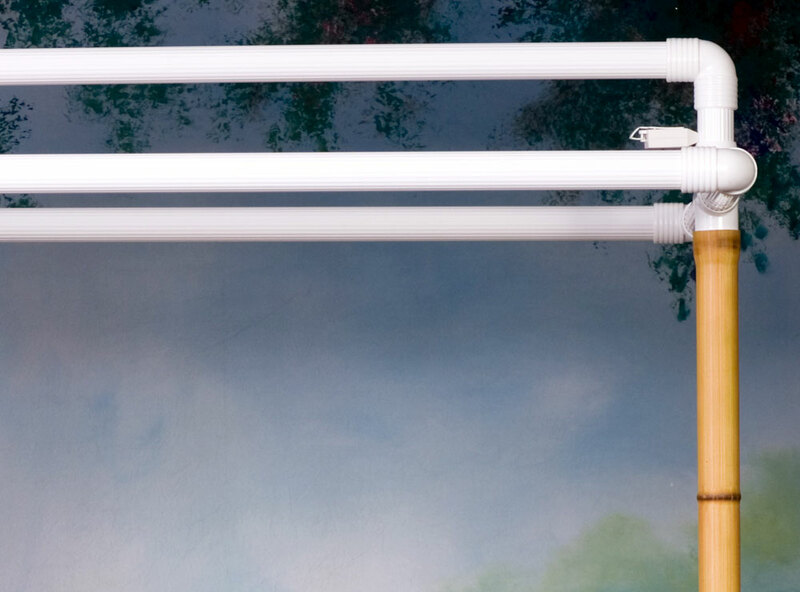 It can be further secured for outdoor use with the custom bungees provided. 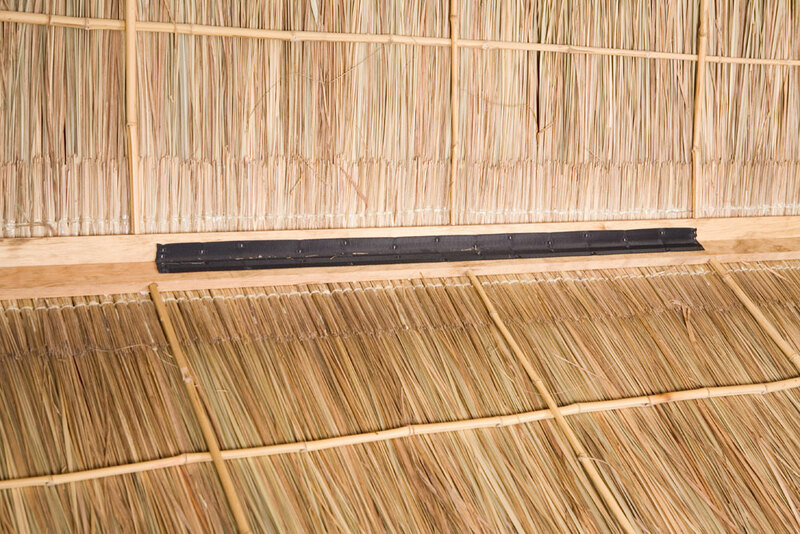 The bamboo frame is covered with Weaved Palapa Palm. 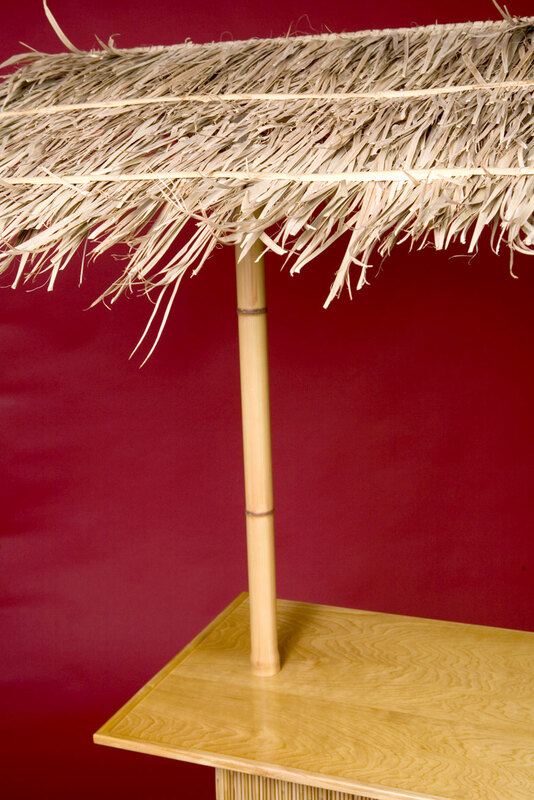 The Weaved Palapa Palm provides an authentic, attractive appearance. 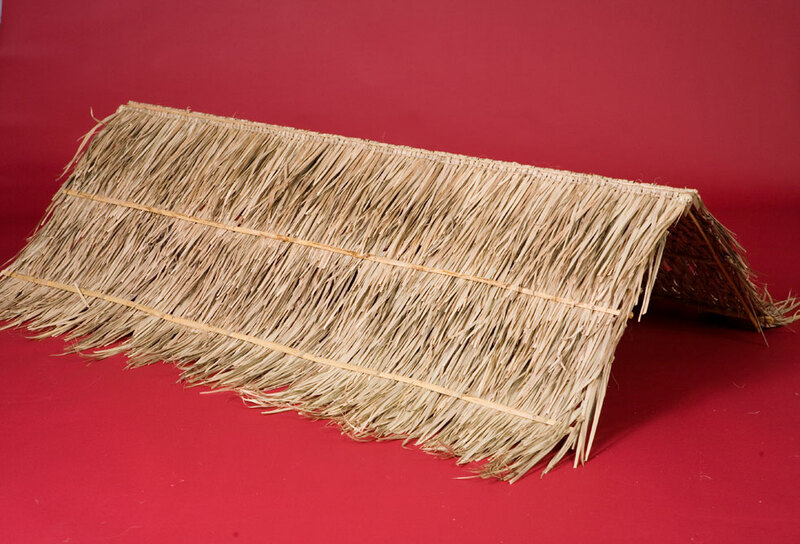 It holds up to constant handling and does not shed due to the intricate weave of the palm fronds.